Zimbabwe held the first elections on Monday after 30 years of Robert Mugabe's government. Although he was deposed from office in November 2017, after a coup that ended without death, the nonagenarian dictator was de facto replaced by his vice president, Emmerson Mnangawa. The right hand of Mugabe in the regime was the candidate of the mythical African National Union of Zimbabwe-Patriotic Front party (ZANU-PF), and has obtained the victory by absolute majority, reaching two thirds of the Parliament, necessary to modify the constitution , according to the Electoral Commission of Zimbabwe. The opposition leader of the Movement for Democratic Change (MDC), Nelson Chamisa, had more support in the main urban centers of the country than Mnangawa, which has dominated rural areas. Chamisa has accused the Zimbabwe Electoral Commission of delaying the vote Tuesday to favor ZANU-PF. Both Chamisa and Mnangawa had publicly stated in their social media victories that had not yet occurred, and that can only be announced by the Zimbabwe Electoral Commission. The announcement of the ZANU-PF victory has caused hundreds of MDC supporters to go to the streets of Harare to protest. The response of the army and the police has been fast, opening fire as the agencies have reported. According to the national newspaper Zimbabwe Today, three people have died. “There are widespread protests in the capital, the army has been called in to reinforce peace. 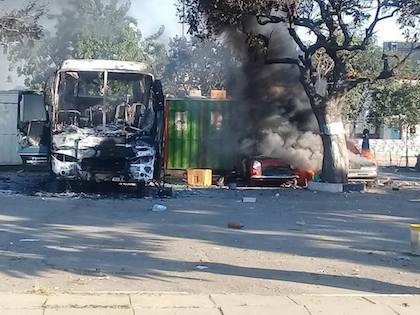 There have been gun shots and helicopters flying all over”, Blessing Makwara, General Secretary of the Evangelical Community of Zimbabwe (ECZ), has confirmed Spanish news website Protestante Digital. Before the confirmation of the victory of ZANU-PF party, peace seemed to be the evidence of the popular desire for these elections to arrive. “There is peace and calm, with everybody enjoying having voted while those who did not vote where seen about doing their daily chores and businesses in some instances. There is great excitement and people waiting for the results”, Makwara told. He explained that these were “unique elections, heralding some transition characterised by being the most peaceful since the attainment of independence in 1980; with new faces on the Presidential poll for the first time; huge turnout from the youths, women and the elderly”. 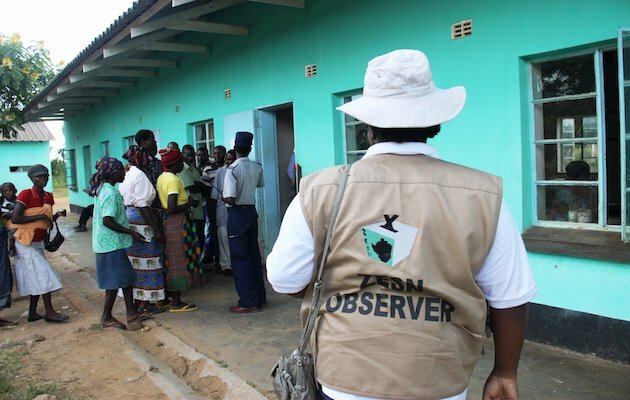 “The environment has been very peaceful with all candidates freely assembling and campaigning even in previous hot-beds of the country in rural areas”, the ECZ General Secretary added. 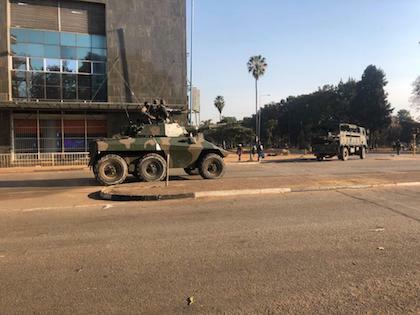 Meanwhile, the City Evangelical Church in Harare, member of the ECZ, told Protestante Digital that the situation was “peaceful, but there is a lot of anxiety as people wait for the results to be announced. It has the potential to be volatile”. “Christians have been holding daily prayers and intercessions for peaceful elections”, Makwara said. Additionally, “the church has been pushing the parties to include certain themes in their campaigns and messages”. “We are ready to engage and work with the choice of the people as expressed in the ballot”, he added. “The two top presidential candidates have publicly affirmed their Christian faith and the Christian values which the church believes are critical to go forward and hold each other accountable”, Makwara pointed out. However, the City Evangelical Church believed that “being a devout Christian, it seems Nelson Chamisa could be a better option for the Christians”. At the end of the campaign, Chamisa shared a verse from Isaiah on her twitter account. “All Zimbabweans, both Christian and non-Christian, look forward to a better country with a thriving economy and freedom to express themselves regardless of who wins”, the City Evangelical Church said before knowing the results. Makwara urged “all members of the Body of Christ across the globe to continue interceding for peaceful transitions, and for the alter of the Lord to be raised high in the country” . “Please pray for the processes of nation building, healing and reconciliation to be led by the Lord, as well as the economic revival and restoration of national glory and pride”, he asked. “We pray that the church steps up and provide the light and salt to seasoning the conversations around politics and national transformation, while believers remain firm in their faith”, the General Secretary concluded. The City Evangelical Church also called Christians to “pray with us for peace to prevail after the results, and that whoever wins may lead the country to a better environment both socially and economically”. “May our freedom to worship the One true God be maintained”, they added.